According to me, this is a must have accessory for a car. I can’t count the times I felt the need to charge my laptop in our car while travelling. This is a perfect device to fulfill that need. 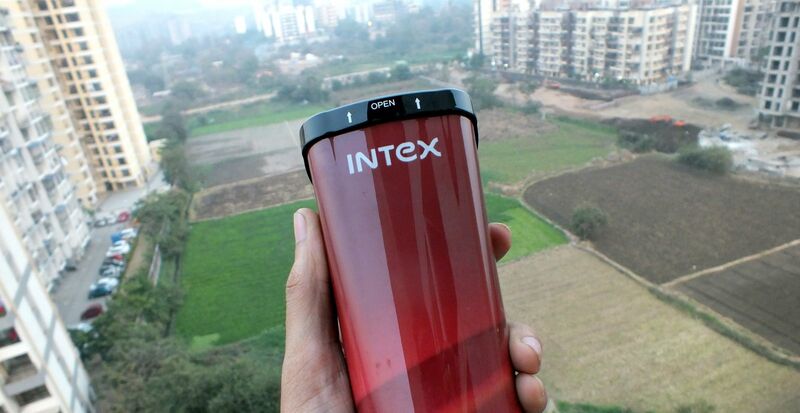 The name Intex reminds me of the speakers I had for my desktop more than a decade ago. 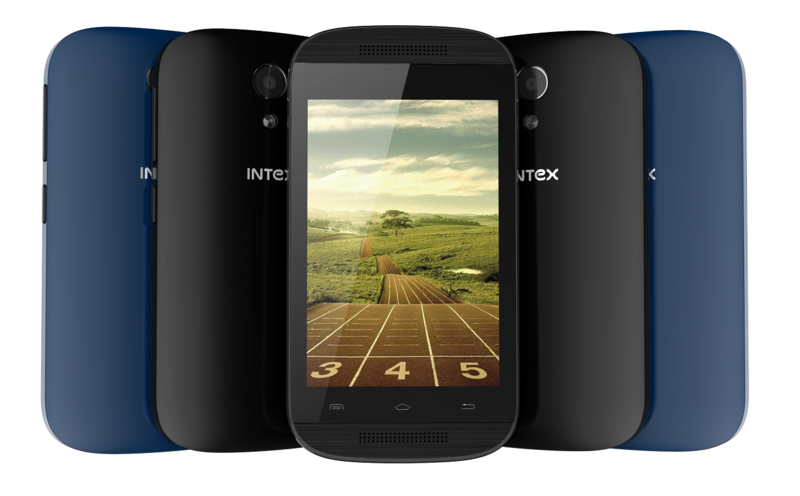 Now Intex is known for a range of products varying from TVs, Mobiles to Air Coolers. 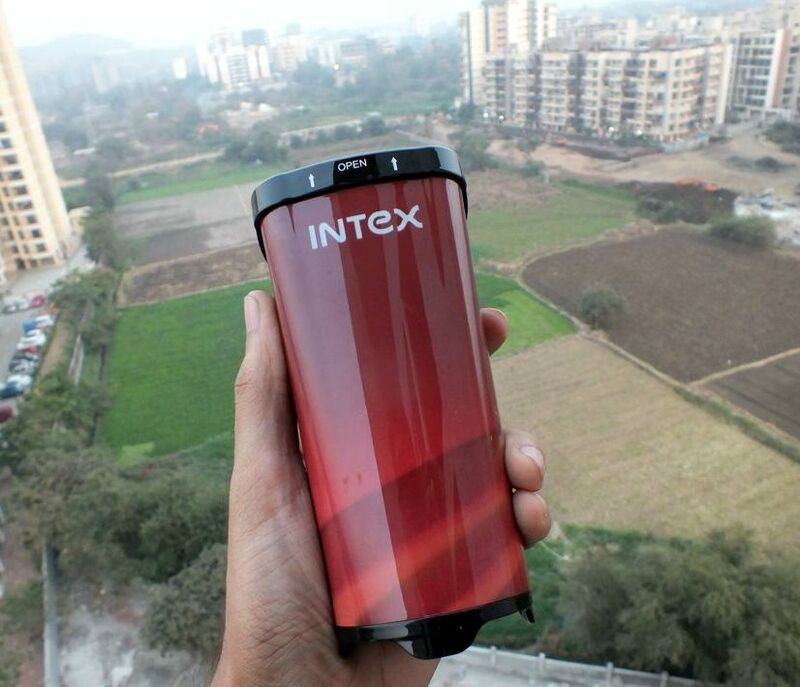 Though I didn’t expect a Car accessory from Intex. But here we are. 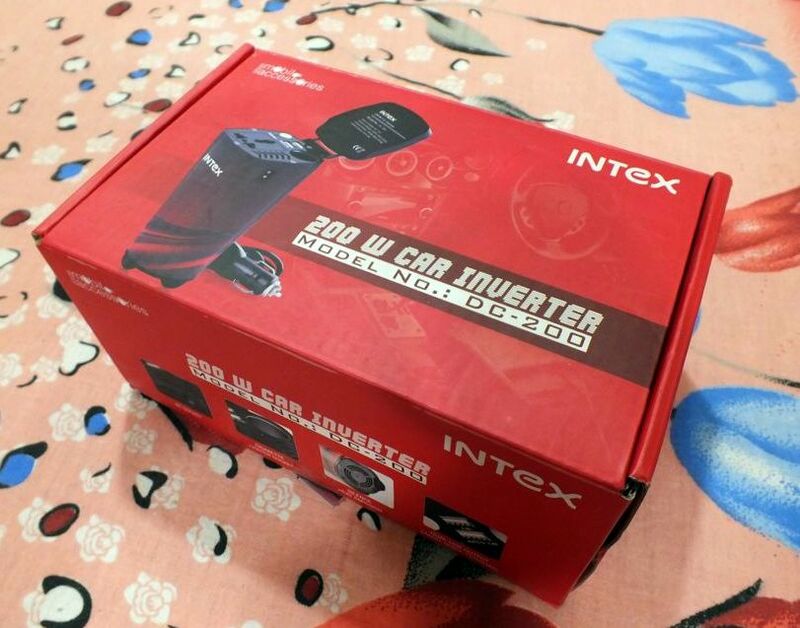 Let’s find out more about Intex DC-200 Car Inverter(charger). Nothing much to say here. 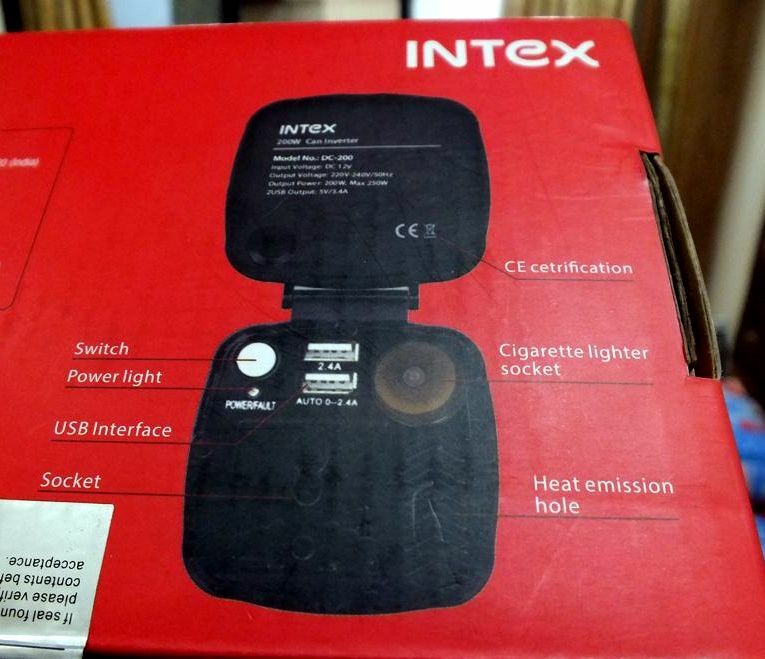 Inside the bright red box, you get the Intex DC-200 itself, along with the input cable and an instruction manual. On the box, we have the features mentioned along with the ratings of ports and other regular information. 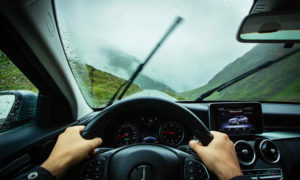 On first looks, it looks like a coffee cup, which is a convenient shape, because you can connect it and keep it in your cup-holder of your car. That keeps it stable in a moving car. After opening the top cap, you can see the output ports, we will check those out in next section. On one side, we have the input port. On bottom, there’s a fan. Top cap keeps the outputs safe when not in use. 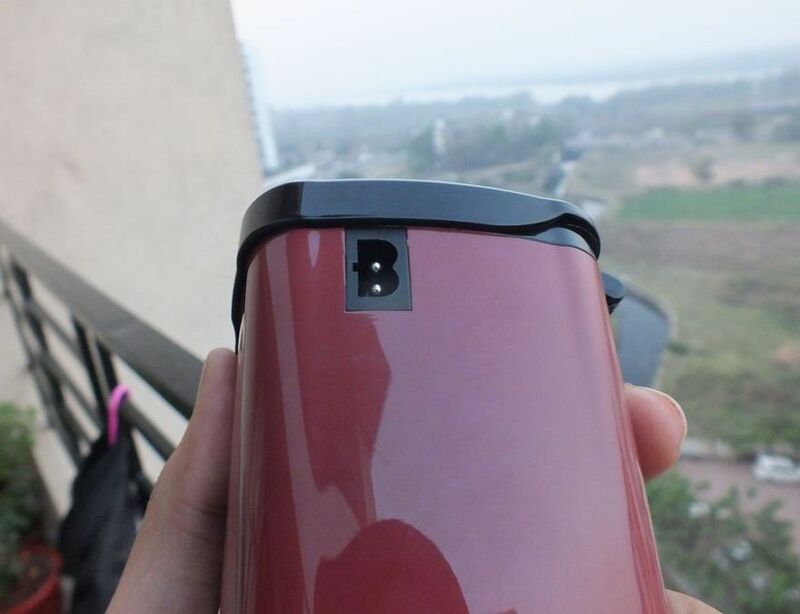 External of the device is very glossy, having a red-ish color scheme, which looks attractive. Everyone who sat in my car asked me about the device. Input voltage is 12V. 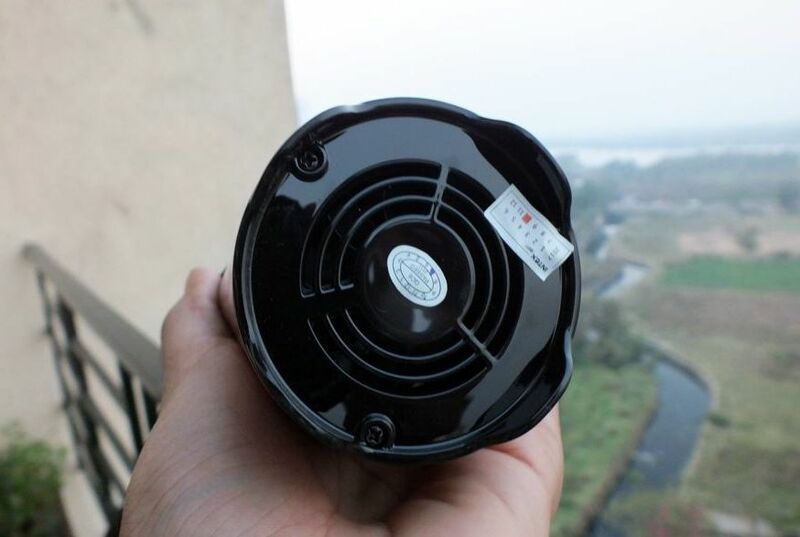 Output is AC 220V-240V/50Hz. Power is 200W, hence the name DC-200. 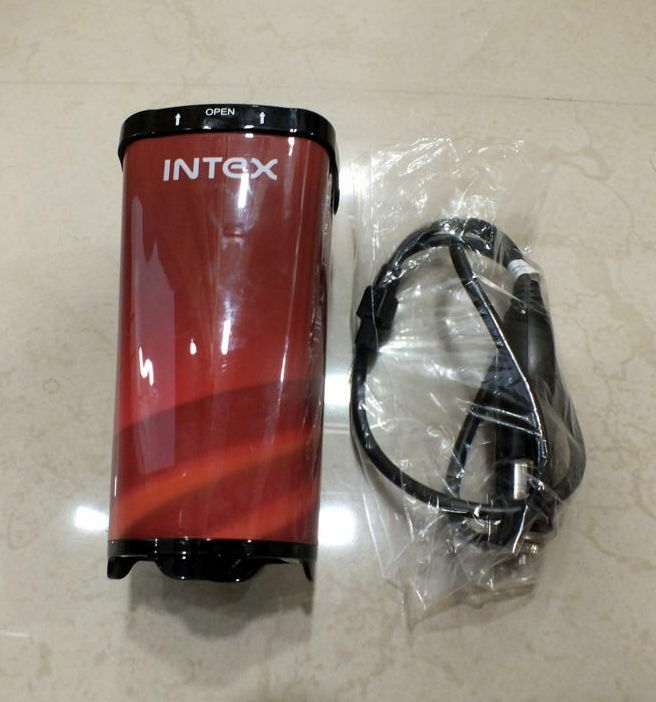 It has 2 USB ports, one with a 0-2.4A power rating and other a 2.4A. It also has a AC plug output, for you to charge your laptop or camera. To use this port, you’ll have to turn on the Power button on the device, on the left of USB ports. 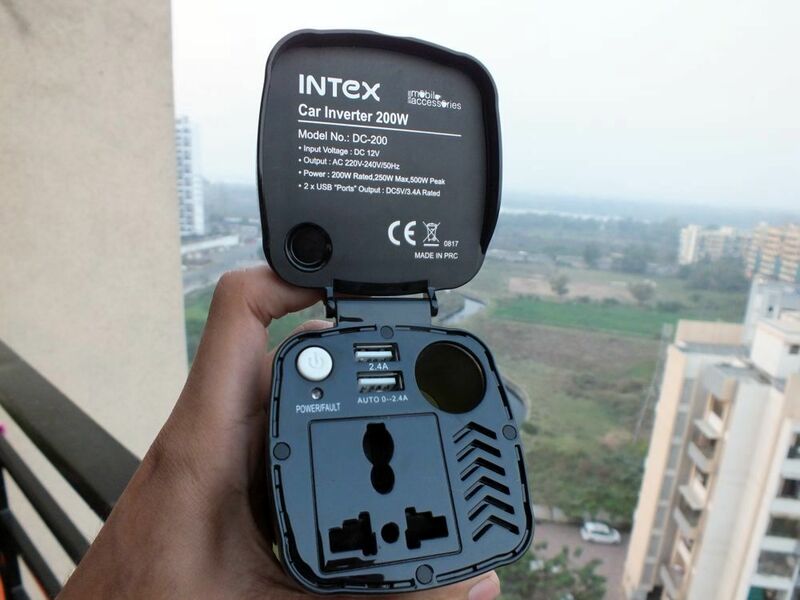 If you thought that inverter means something that will store the power and let you use later, you are wrong! Conventional laptop and mobile chargers convert AC(alternating current) to DC(direct current) and charge your device on DC. 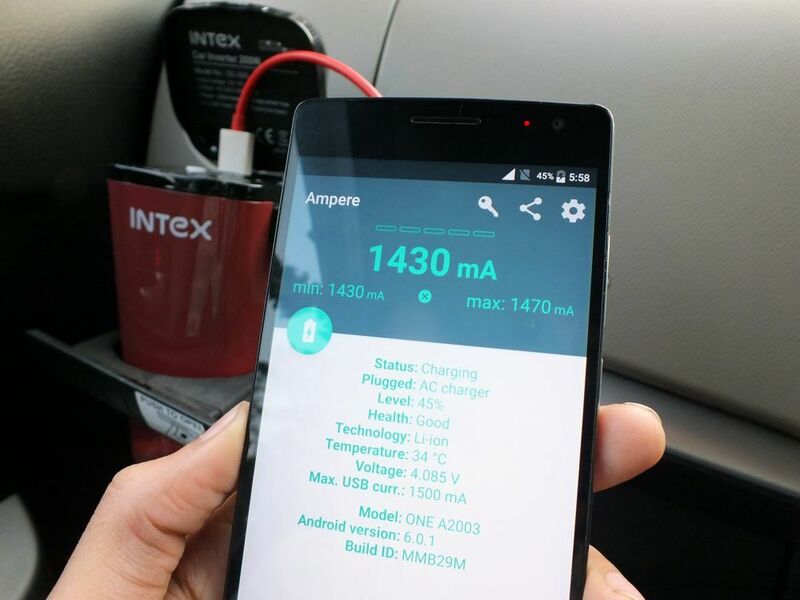 Your car already battery with DC supply. 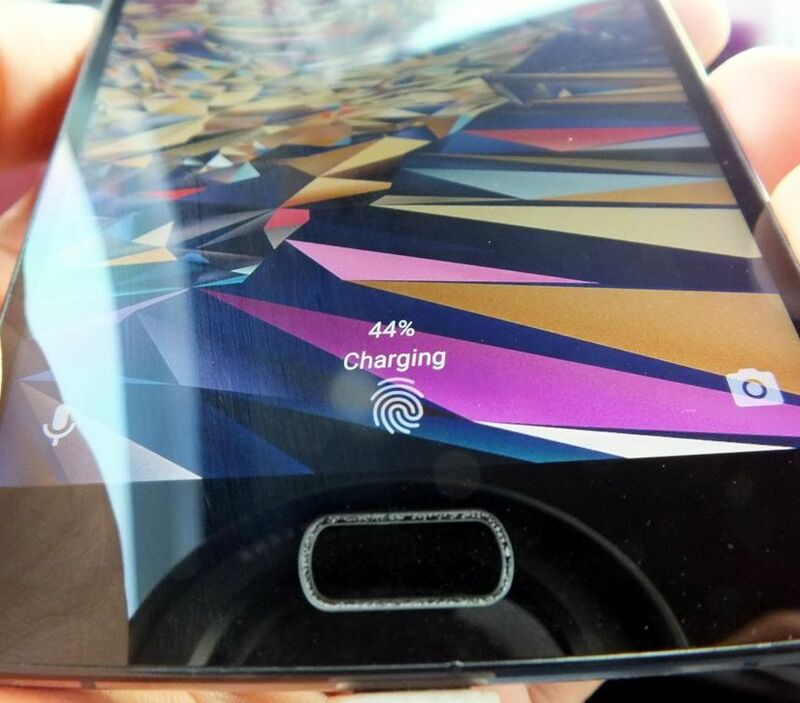 That doesn’t mean you can connect your phone to it and start charging. 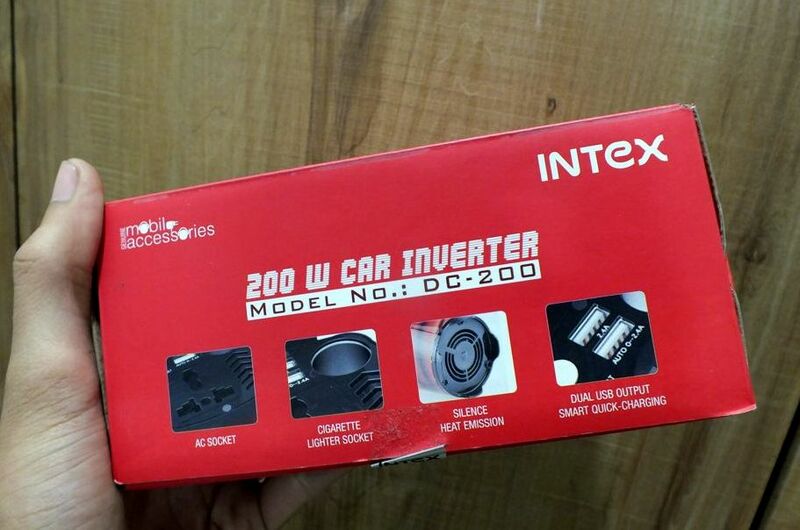 That’s where this Car Inverter comes in the scenario. 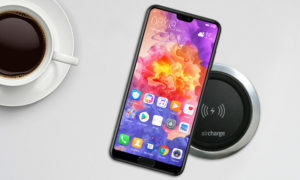 It converts DC to AC and then you can use your charger to again convert it to DC(suitable for your device) and charge it. A little complex to understand? 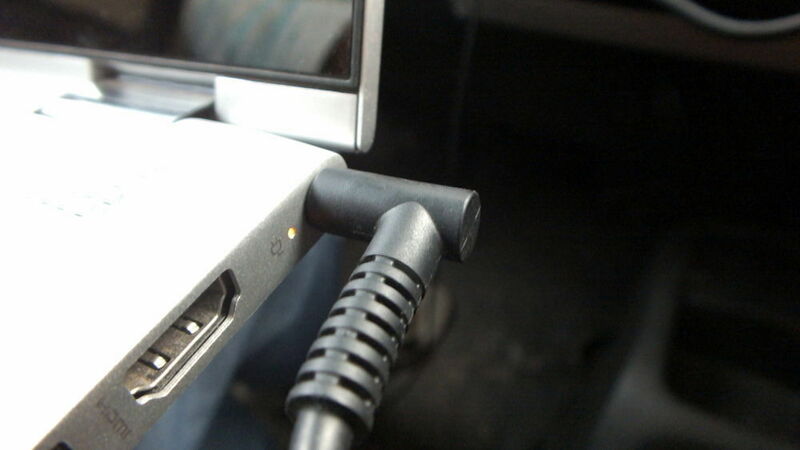 Just keep in mind that you need this device to charge your laptop in your car. 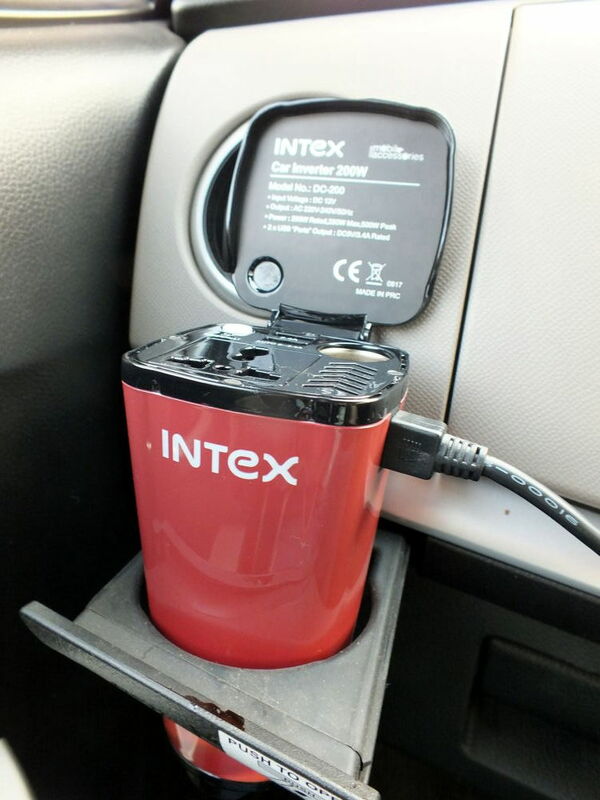 To be honest, for my device, charging using this car inverter was faster than charging at home. I was getting a stable 1450mAh from the inverter, where I get only around 1250mAh(most of the times) at home. Note that I was charging the phone using the 2.4A USB port. Laptop was also charging fine, probably again faster than that at home. 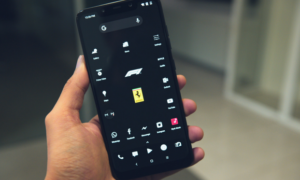 So I can say that performance of this device is excellent. Charging 2 phones and a laptop at once is easily possible. You can even connect a spike guard/extension board and charge more than 4-5 devices using that. Yes, it’s possible! 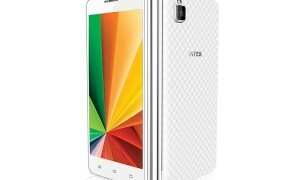 Even though MRP of this product is Rs.3,499 (printed on the box), it is available for lower prices on shopping websites. According to me, this is a must have accessory for a car. I can’t count the times I felt the need to charge my laptop in our car while travelling. This is a perfect device to fulfill that need. 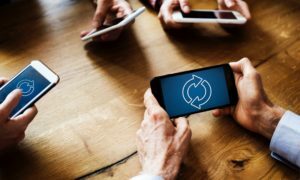 Let me know your views on this in the comment section below.